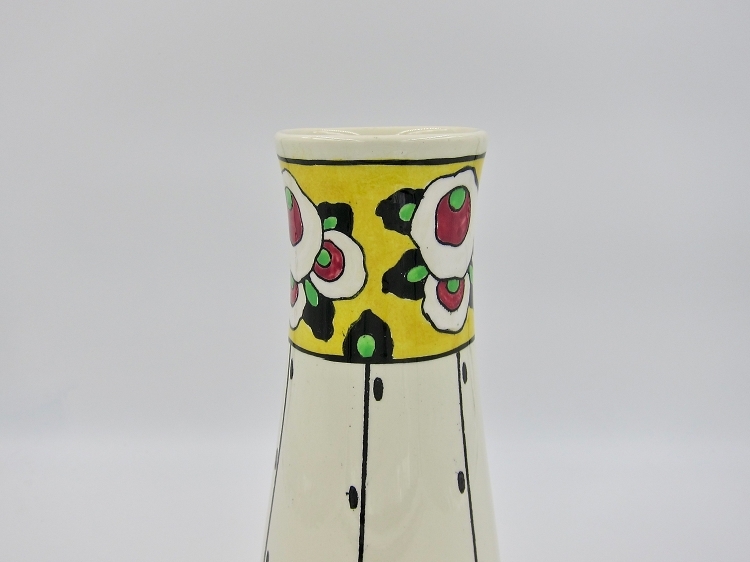 A colorful Art Deco vase produced by Boch Freres, Charles Catteau's l'Atelier de Fantaisie art pottery workshop at La Louvière, Belgium. 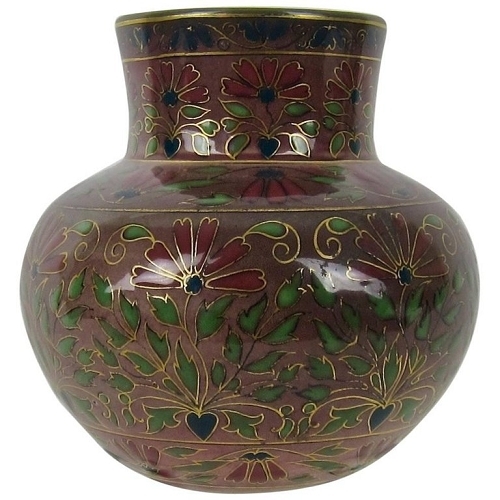 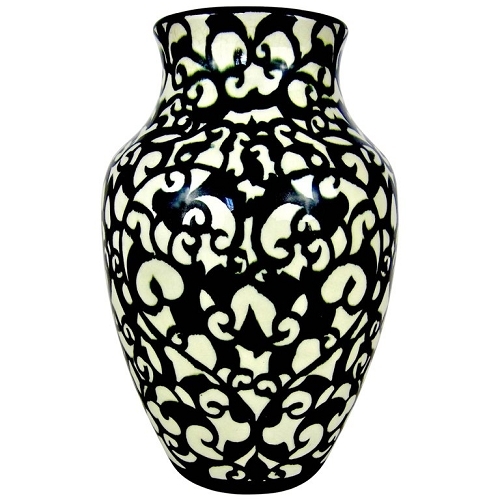 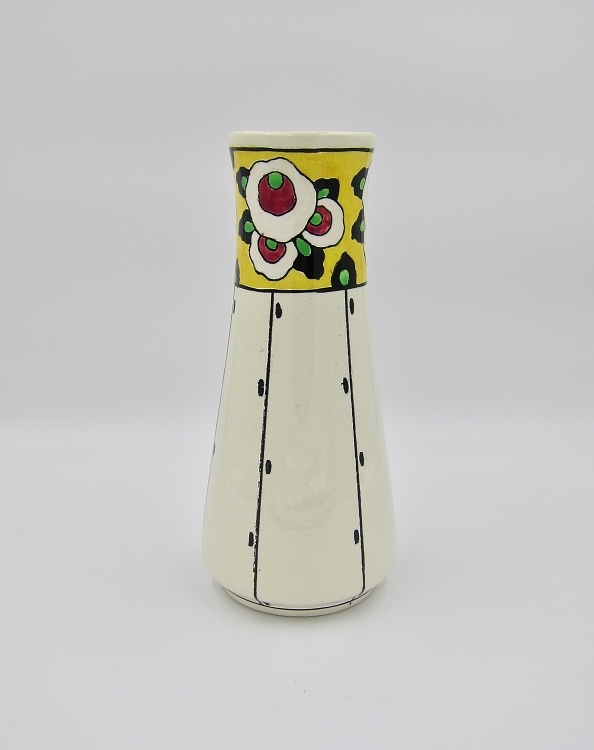 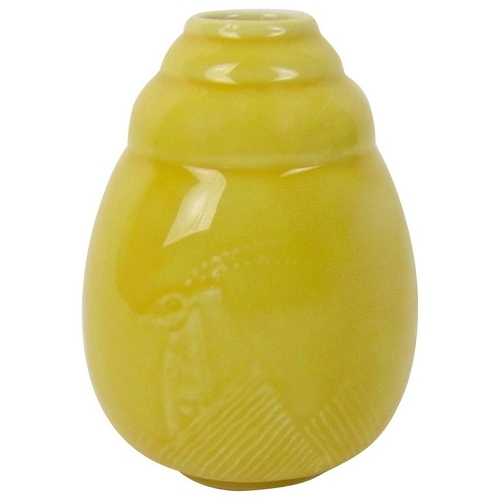 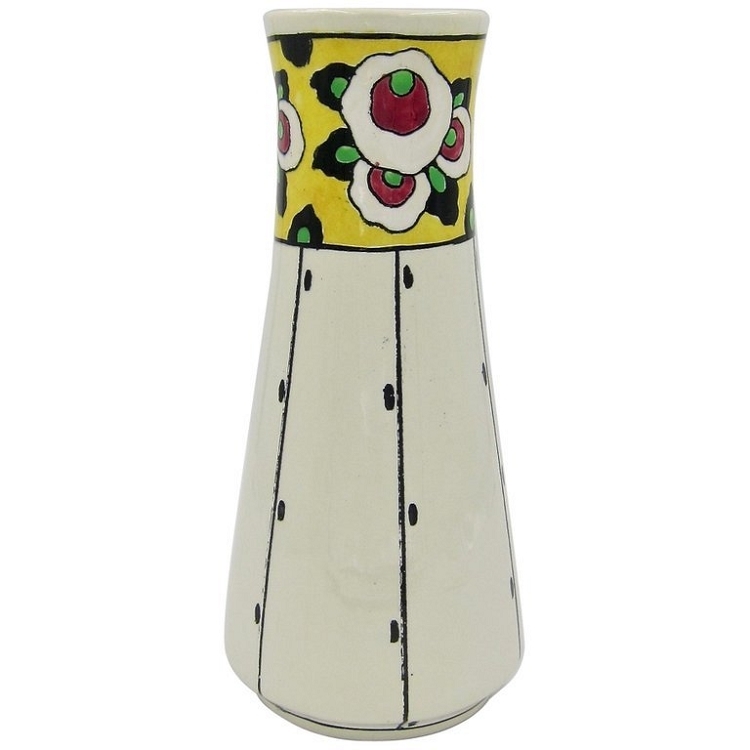 This glazed art pottery vase has a cream-colored, ivory ground accented with hand painted vertical black lines flanked by oval dots under a frieze of enameled stylized blossoms and leaves on a golden yellow ground. 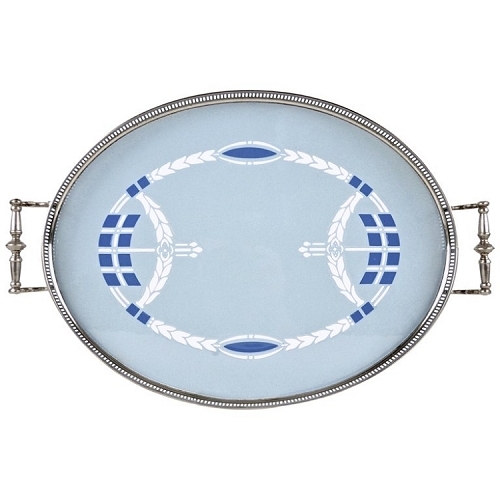 This hand painted decor scheme is documented to 1923. 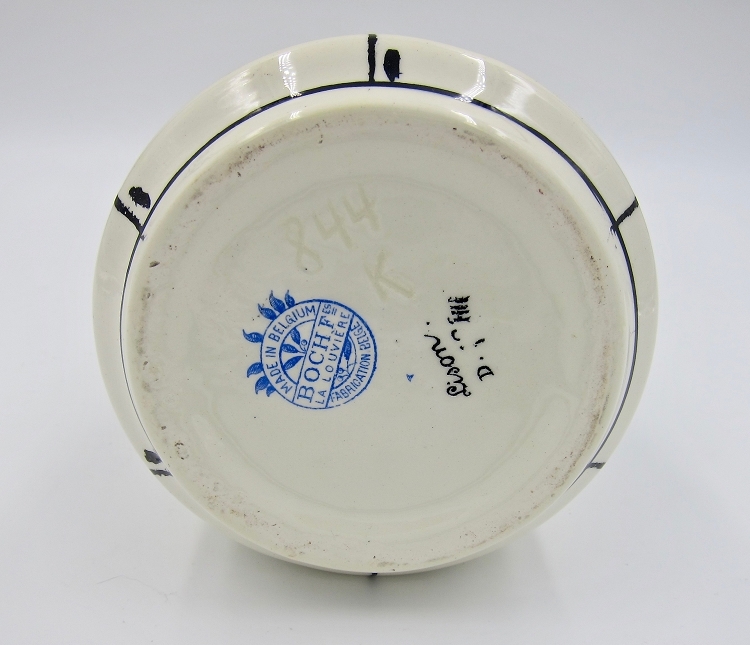 Fully marked underfoot with blue Boch Freres La Louviere Belgium printed factory mark alongside impressed "844 / K" and signed "Lison" by hand in black over a partially obscured "D" number. 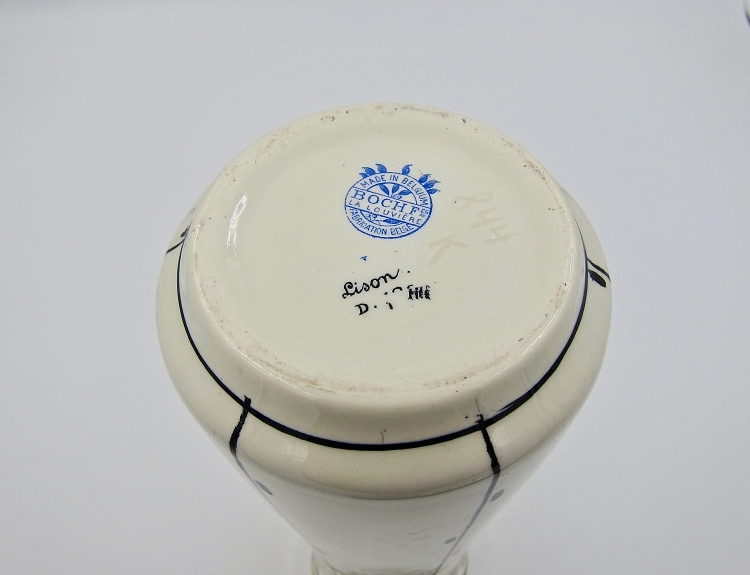 The piece is well-documented as pattern D.780, produced in 1923. 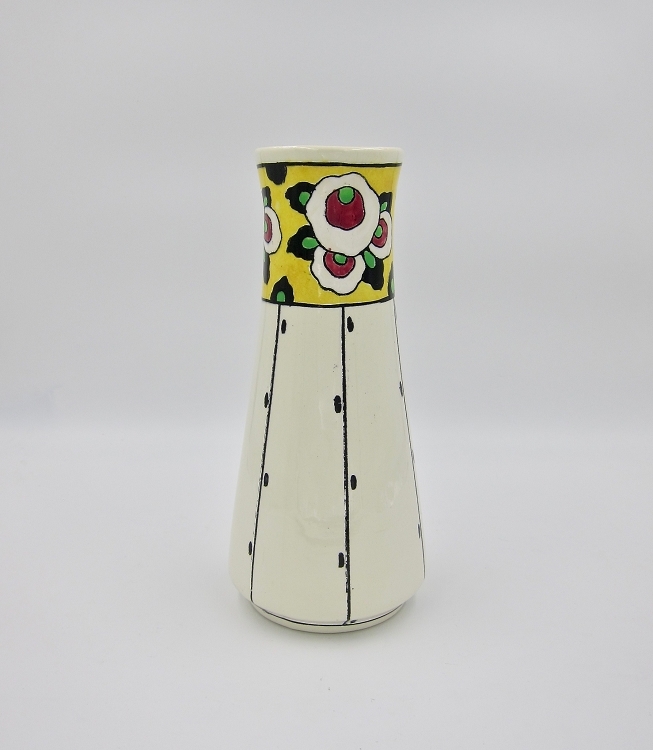 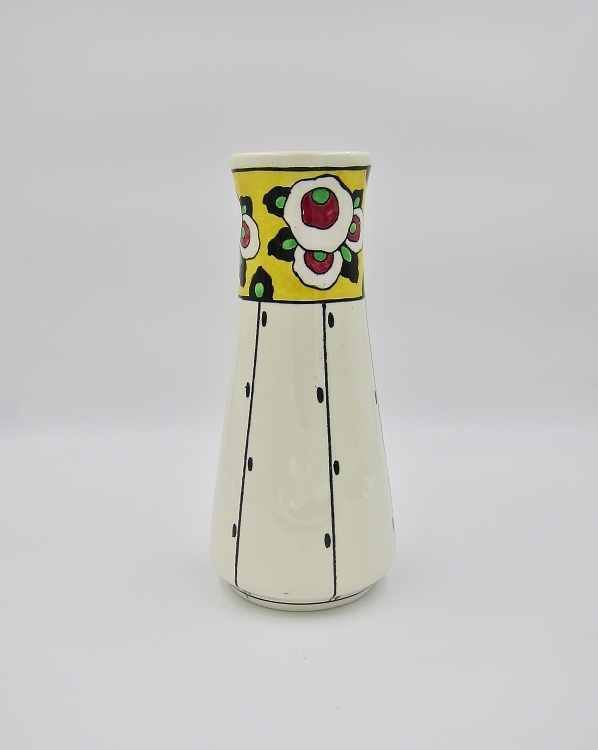 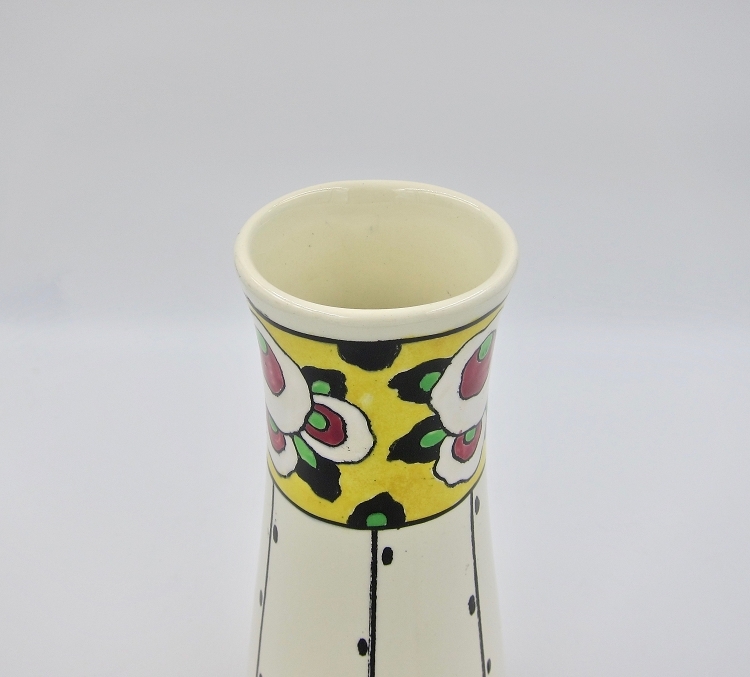 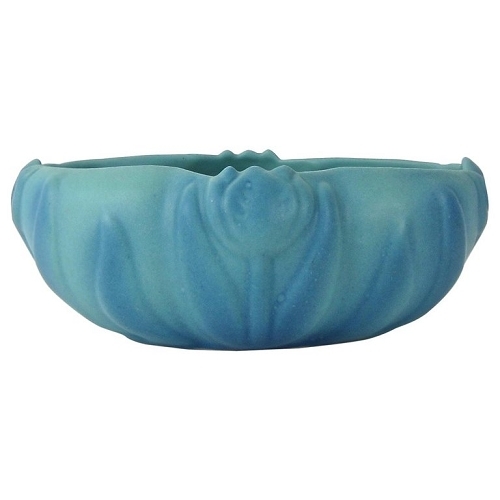 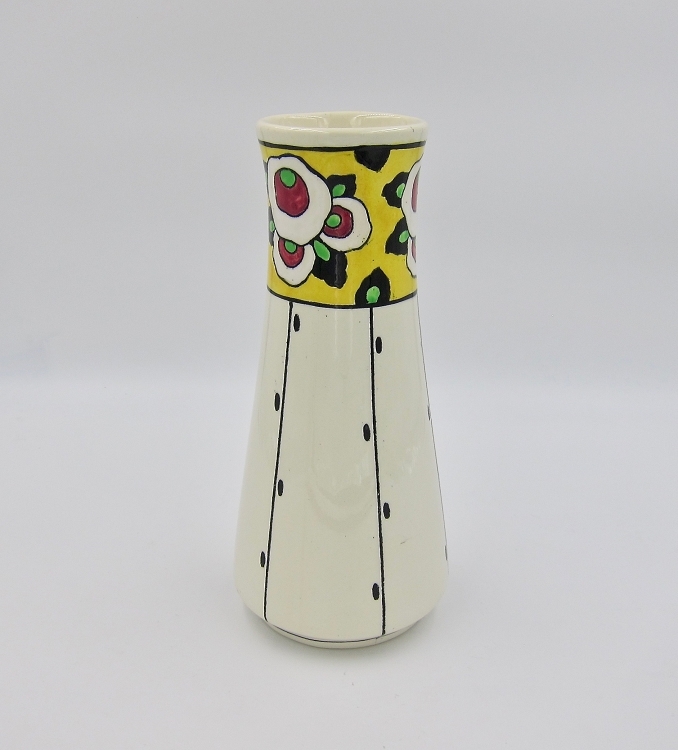 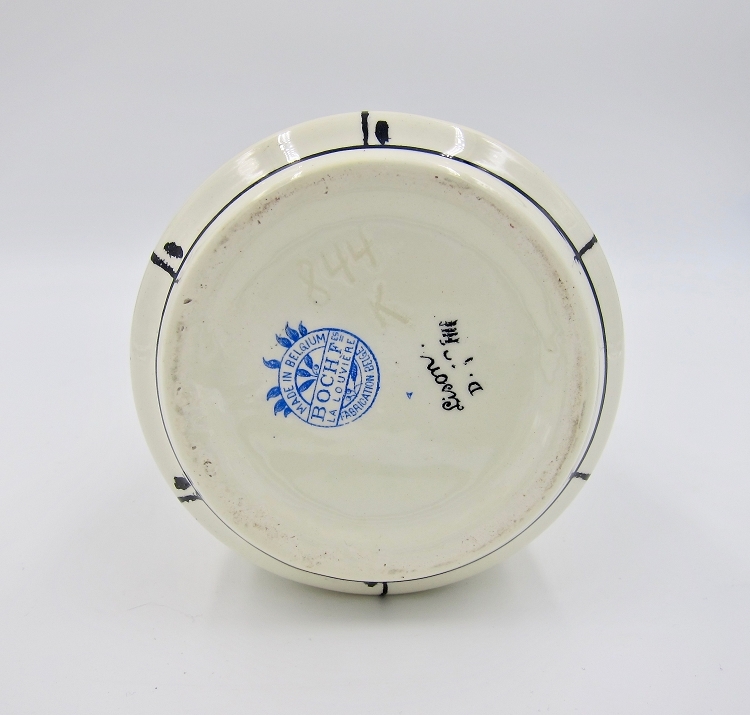 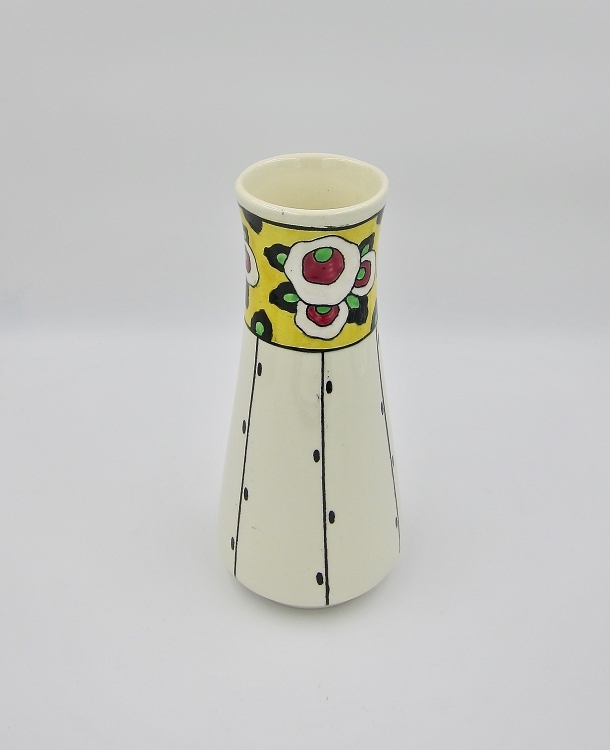 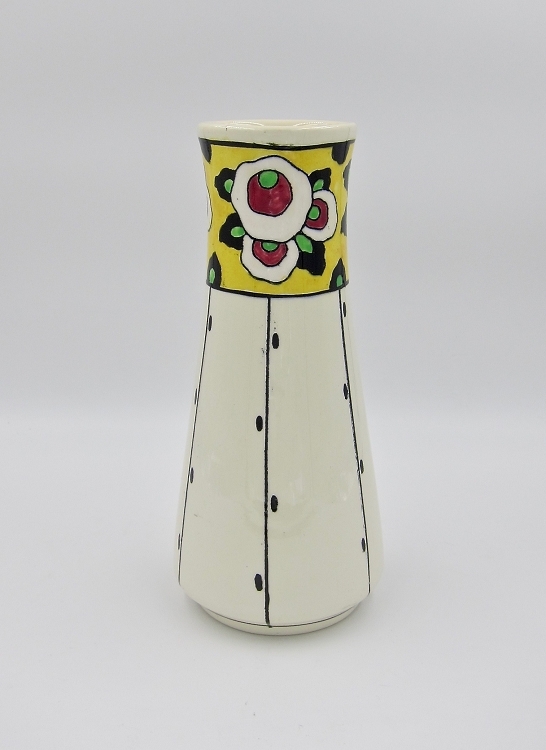 Very good condition with a couple of minor shallow scratches, measuring 9 in H.
Boch Freres produced an impressive range of bold and colorful ceramics during the Art Deco period, influenced by Cubism, Japonisme, and the natural world.